Hello homebrewer and welcome back to another episode of our show! 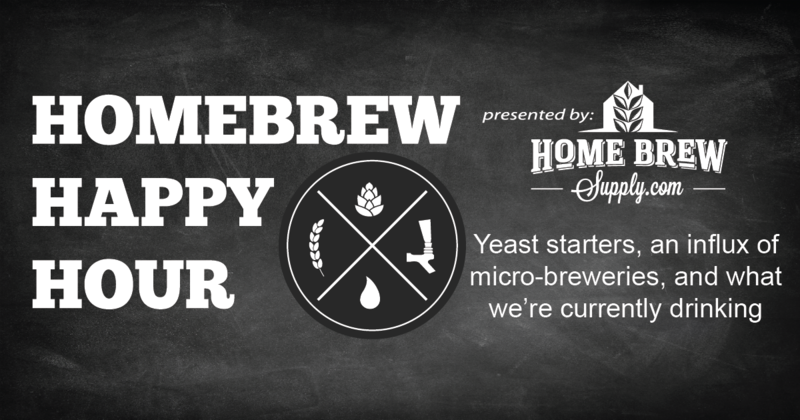 2018 is off to a crazy start already but we’re back bringing you a fun-filled jam-packed episode of the Homebrew Happy Hour. Since Todd and James are both out of country (Joshua never gets invited on these trips… weird?! ), Ladik Joe Ermis from HomebrewSupply.com joins Joshua and saves the day as we all know at least one expert on homebrew is necessary for these episodes to go smoothly! The guys take your questions on making yeast starters, our thoughts on the rising presence of micro-breweries and brew-pubs in the country, and a reader asks us what we’re currently drinking – so we share that too!